In the mountains outside San Diego, California, at 3500 ft elevation, we make alpaca breeding decisions based on measurable qualities on our lush 14 acre ranch. We breed for beautiful quality fleece, rich colors, correct conformation and desirable temperaments in our alpacas, while maintaining rigorous standards for genetic pre-potency. 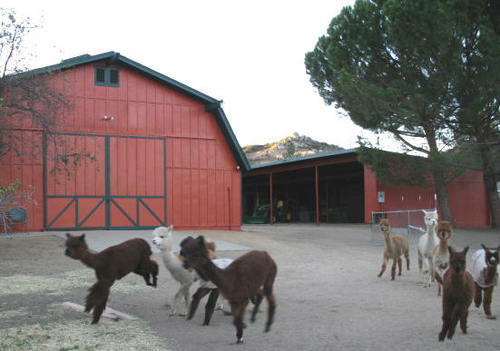 Check out our alpaca herd and you will see one high quality animal after another. 1. We will treat everyone who comes to us in our capacity as alpaca owners/breeders as we would want to be treated, with fairness and honesty in the true spirit of the Golden Rule. 2. We will willingly share our pertinent knowledge and experiences with prospective and new owner/breeders and will endeavor at all times either to provide factual answers to questions and concerns or refer them to someone who can. 3. We will refrain from doing anything that might adversely affect the business or reputation of our fellow owners/breeders and will not encourage others to do so. 4. 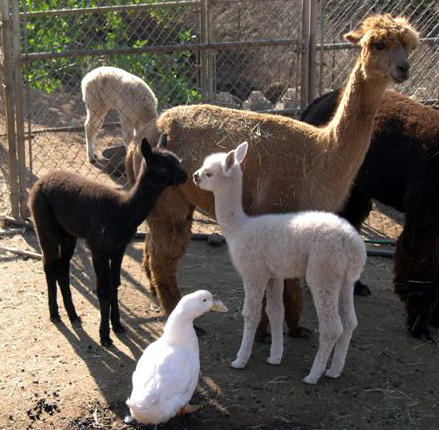 We will at all times promote our own alpaca business in a positive way so as to bring credit to us, our business, our breeder's association, and our fellow owners/breeders. 5. 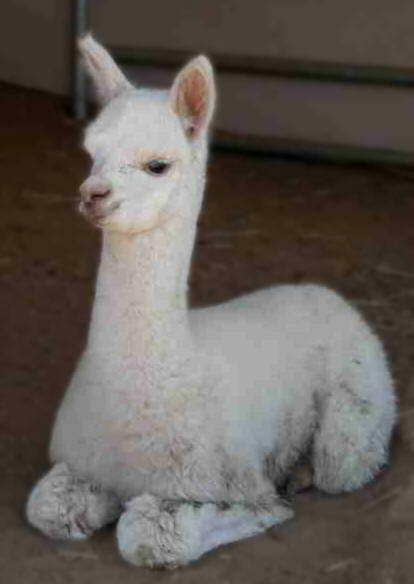 We will make a full and complete disclosure of any facts known to us concerning every alpaca sold or leased by us. 6. We will stand behind any and all guarantees and assurances made to our clients, whether verbal or written.